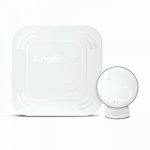 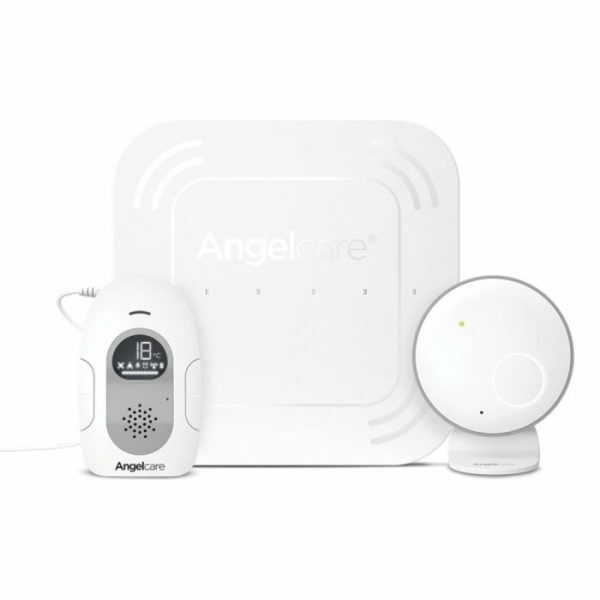 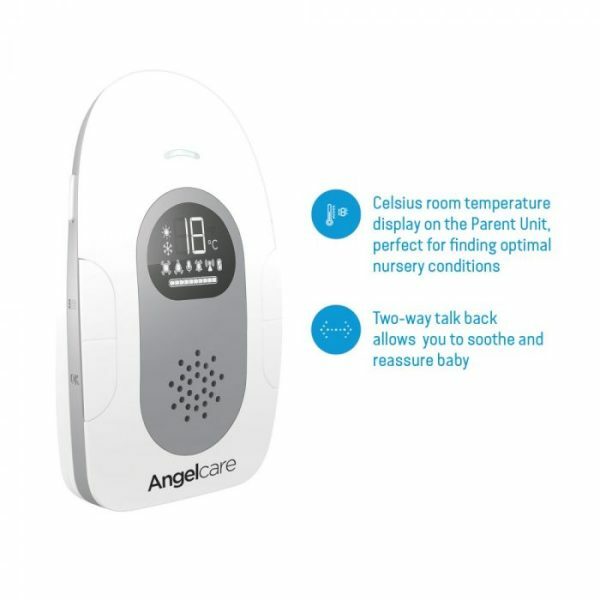 Angelcare’s AC115 Movement and Sound Monitor allows parents to relax while baby is resting. 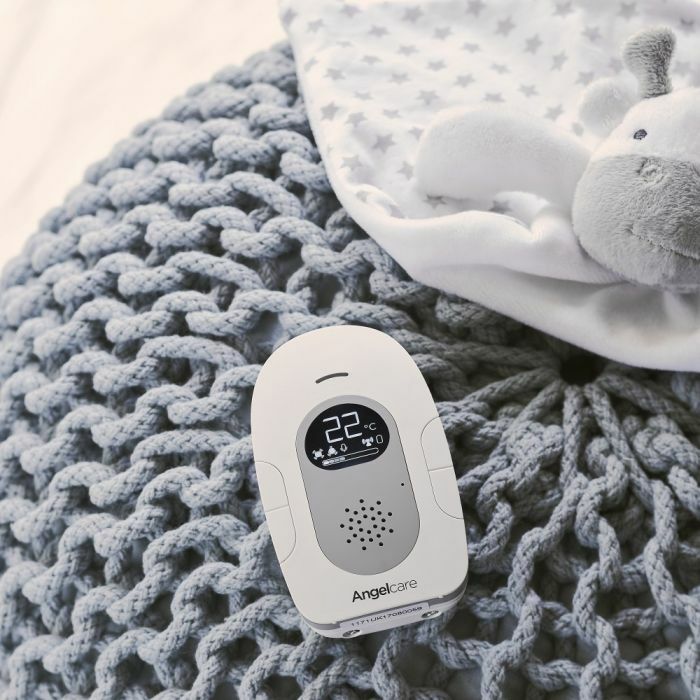 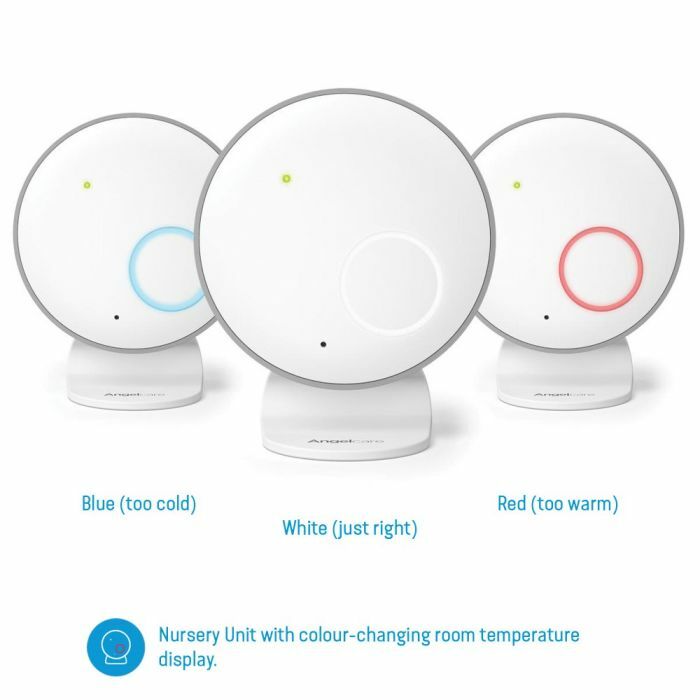 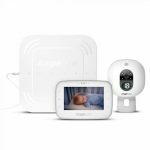 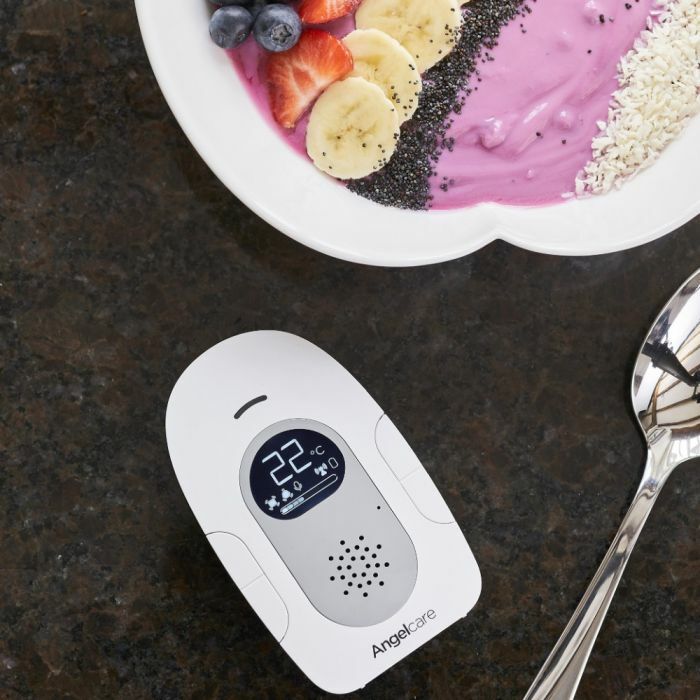 Digital audio and movement monitoring enable parents to better respond to baby’s needs.Angelcare designs the best-selling, most-trusted movement monitors in the world. Our patented Movement Sensor Pad is designed to be placed under baby’s mattress where it senses subtle movements while baby sleeps. 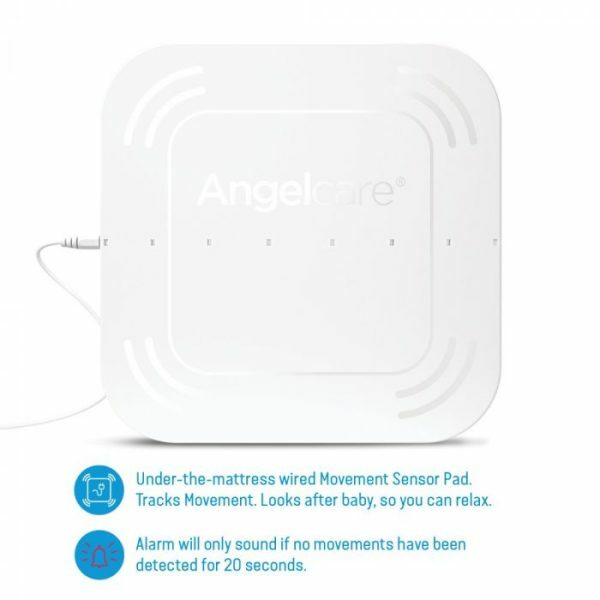 All of our movement monitoring systems alert parents if no movement is detected after 20 seconds. 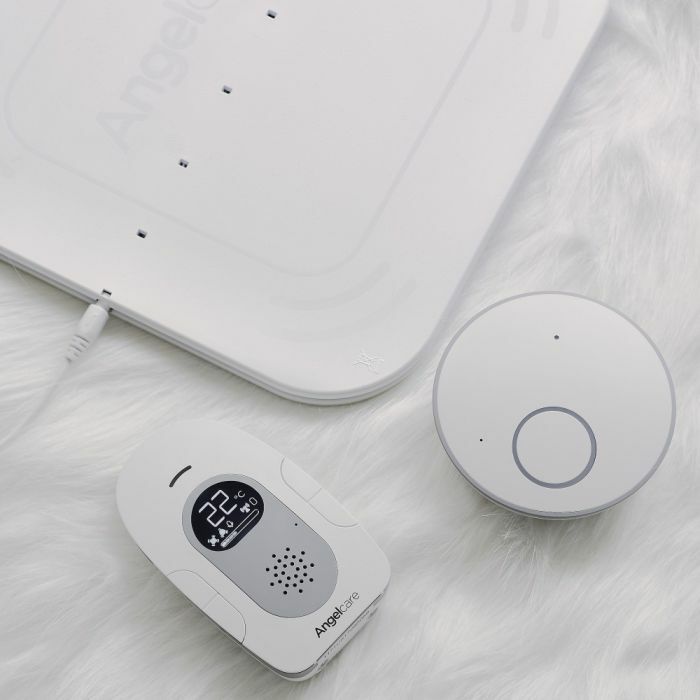 The AC115 features our Movement Movement Sensor Pad bundled with a new low-profile, nursery audio/temperature sensor unit and a newly designed audio Parent Unit. The system features a digital temperature read-out on the Parent Unit and two-way audio.